Sussex County, Delaware, is a prosperous county that is home to about 200,000 residents. The population of its seaside communities significantly increases every summer due to tourism and to those with second homes. The earliest human activity in the region dates back approximately 10,000 to 14,000 years ago, according to archaeologists. Prior to the 17th century, the Nanticoke and Lenni Lenape tribes were dominant in the area. Seafood, crops, deer and small animals provided nourishment for these people. Henry Hudson arrived at the mouth of the Delaware River in 1609 on behalf of the Dutch West India Company. In 1613, Dutch explorers named Cape Henlopen and Cape May. Sussex County would subsequently become the site of the first European trading post in Delaware. The 5,193-acre Cape Henlopen State Park in the Lewes area is a major park along the Atlantic coast in Sussex County. William Penn made it a public land available to all in 1682. Anglers of all ages can go after trophy fish when they are biting thanks to the 24-hour fishing pier in the park. Disc golfers will be tested on the park's competitive course. Hiking and biking trails meander amidst meadows, hardwoods and wetlands. Surfers often like the wave action at Herring Point. History buffs will enjoy Fort Miles. In addition to the endless beach activities available to the residents of Sussex County, there are innumerable water sports enjoyed here. Shore fishing and deep sea fishing are also popular. Championship golf courses challenge avid golfers across the county. Brewery and wine tours are both festive and memorable. With so many restaurants and boutiques dedicated to serving the tourist, local residents enjoy highly rated dining and shopping experiences. Rehoboth Beach treats residents and visitors alike to a number of big events every summer, including the Chocolate Festival, at which one gets five "tastes" for $5. The community also hosts the Independent Film Festival, the Jazz Festival and the Sea Witch Halloween Festival. The Bethany Beach Jazz Funeral is uniquely named to mark the end of the summer season. Bridgeville hosts the Apple Scrapple Festival. Seaford is the site of RiverFest every year. Sussex County offers multi-million-dollar waterfront properties as well as quaint bungalows in small communities. The area hosts modern subdivisions and planned communities with modern amenities like multi-car garages, energy-saving systems, gourmet kitchens, and home theaters. 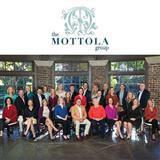 The Mottola Group can make your search for that dream home much more efficient. Your agent will learn your priorities and find ideal Sussex County homes to consider.